Aluminium settled down -0.91% at 103.35 snapped a two-day rally and fell from its highest close in three weeks, as market expects Chinese demand to grow at its slowest pace since 1998. Chinese stocks fell for a third day on Thursday as concern slumping commodity prices and a weakening economy will reduce corporate profits overshadowed the biggest cash injection into the financial markets in three years. Aluminium trading range for the day is 102.1-105.1. Aluminium dropped as prices seen under pressure from an oversupplied market, mainly because China has been ramping up low-cost capacity. Crude palm Oil settled flat amid supply worries and on improved demand. Palm oil prices were supported by supply worries after India's palm oil imports for December month fell. India's Crude palm oil imports slipped 29.24% to 778,815 tons in December compared to 551,058 tons in the same period a month ago. CPO trading range for the day is 431.8-435.2. Crude palm oil prices settled flat amid supply worries and on improved demand. Palm oil prices were supported by supply worries after India's palm oil imports for December month fell. Palm oil prices were also supported as output from Malaysia, the world's second biggest palm producer, is seen declining in the coming months. 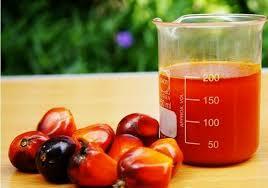 Crude palm oil prices in spot market dropped by 1.80 rupees and settled at 433.10 rupees. Barley prices closed higher by 0.6 per cent on Thursday at the National Commodity & Derivatives Exchange Limited (NCDEX) as a result of strong demand from beer and cattle-feed making industries against restricted supply in physical markets. At the NCDEX, barley futures for April 2016 contract closed at Rs. 1,427 per quintal, up by 0.6 per cent, after opening at Rs. 1,410 against the previous closing price of Rs. 1,418.5. 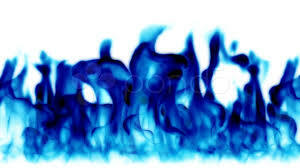 It touched the intra-day high of Rs. 1,435. 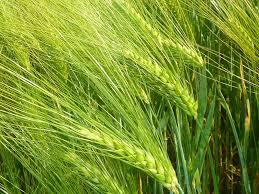 The consumption demand for Barley in India mainly comes for malt, poultry and animal feed. Barley malt is majorly used for the production of alcoholic beverages in the country. Gold steadied on Friday after recent gains that lifted the metal to its highest since November, keeping it on track to end January with its strongest monthly climb in a year. Fresh data released on Thursday showed new orders for U.S. durable goods posted their biggest drop in 16 months in December, suggesting that growth in the world's top economy braked sharply at the end of 2015. 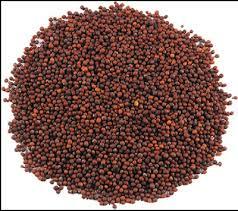 Mustard Seed prices closed lower by 0.13 per cent on Wednesday at the National Commodity & Derivatives Exchange Limited (NCDEX) as a result of the profit booking by the traders on account of the weak crushing and export demand of mustard meal. 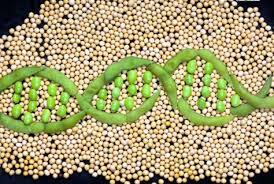 At the NCDEX, Mustard Seed futures for April 2016 contract closed at Rs. 3,855 per quintal, down by 0.13 per cent, after opening at Rs. 3,845 against the previous closing price of Rs. 3,860. It touched the intra-day low of Rs. 3,822. Sentiment weakened further due to the sluggish export demand as a result of the weak demand for the commodity. EU-27 accounts to about 34 per cent of worlds RM seed production, others major producers are China (23 per cent), Canada (19 per cent), India (14 per cent), Australia (3 per cent), Ukraine (2 per cent). India produces 5.5 million MT to7 million MT annually. 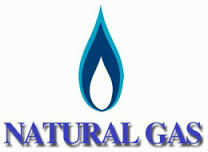 Natural Gas futures surged by more than 1.5 per cent in the domestic market on Wednesday as investors and speculators booked fresh positions in the energy commodity as forecasts for colder temperatures across parts of the US in the next two weeks bolstered the demand outlook for the heating fuel in the world’s biggest economy. The focus today will on the release of the weekly US storage data by the EIA which may show a 206 billion cubic feet withdrawal in stockpiles in the week ended January 22, 2016. Chana prices closed higher 0.05 per cent on Wednesday at the National Commodity & Derivatives Exchange Limited (NCDEX) as the traders enlarged their holdings in the commodity on account of the good demand in the market. At the NCDEX, chana futures for April 2016 contract closed at Rs. 4,260 per quintal, up by 0.05 per cent, after opening at Rs. 4,258 against the previous closing price of Rs. 4,258. It touched the intra-day high of Rs. 4,274. Moreover, the restricted arrivals of the commodity in the physical market due to lower estimated output also influenced the chana prices. 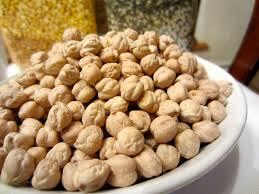 India is the largest producer of chickpea followed by Pakistan, Turkey and Iran. U.S. crude futures dropped more than 1 percent in Asian trading on Thursday, paring gains of nearly 3 percent made in the previous session after Russia held out the possibility of cooperating with OPEC to control global oversupply. 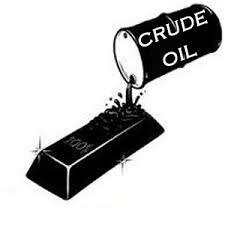 U.S. crude had declined 33 cents to $31.97 a barrel by 0112 GMT. It settled the previous session up 85 cents at $32.30 a barrel, a 2.7-percent gain. 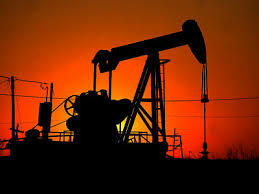 Brent crude had eased 26 cents to $32.84, after ending up 4.1 percent at $33.10 a barrel. Gold held near its highest level since November early on Thursday after the Federal Reserve said it was closely eyeing the global economy amid weakness seen from China to Europe. After keeping U.S. interest rates unchanged as expected, Fed policymakers said the economy was still on track for moderate growth and a stronger labour market even with "gradual" rate increases, suggesting its concern about global events had diminished but not squashed chances of a rate hike in March. Crude oil prices rose by 1.05 per cent on Wednesday on hopes for major producers to begin to trim output and even as US industry estimates showed a massive build in US crude stockpiles last week. The American Petroleum Institute's weekly crude stockpile report released showed an 11.4 million barrels build, well above the 3.5 million barrels seen. Separately, Wednesday's report from the US Department of Energy could show that domestic crude inventories rose by 3.5 million barrels for the week ending on January 22. At the MCX, crude oil futures for February 2016 contract were trading at Rs. 2,122 per barrel, up by 1.05 per cent, after opening at Rs. 2,080 against the previous closing price of Rs. 2,100. It touched the intra-day high of Rs. 2,135 till the trading. Crude prices rallied after Nawal al-Farzaia, Kuwait's OPEC governor, made bullish comments on the possibility that the cartel could reduce supply levels in an effort to stem record-low price declines. 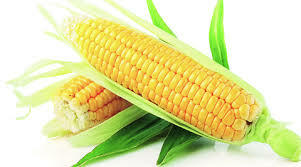 Maize prices ended lower by 0.35 per cent on Monday at the National Commodity & Derivatives Exchange Limited (NCDEX) as a result of heavy selling activity by the traders on account of higher global supplies and weak offtakes from the local buyers. At the NCDEX, maize futures for February 2016 contract closed at Rs. 1,433 per quintal, down by 0.35 per cent, after opening at Rs. 1,436 against the previous closing price of Rs. 1,438. It touched the intra-day low of Rs. 1,414. Natural Gas futures rallied in the domestic market on Monday as investors and speculators booked fresh positions in the energy commodity tracking gains in the overseas market amidst hopes than an extended cold snap in the US may bolster the heating demand for the fuel in the world’s biggest economy. After a massive snowstorm that hit the US East Coast last weekend, natural gas traders are pinning hopes on an extended run of below-normal temperatures that may boost demand for gas-fired heating at offices and homes, eroding stockpiles which are at multi-year highs. Updated weather forecasts called for colder weather persisting over the next two weeks across parts of the US. Gold rose to the highest level in almost three months in North America trade on Tuesday, as investors awaited the Federal Reserve's policy meeting, due to begin later in the day. The Fed is expected to keep interest rate on hold at the conclusion of its two-day policy meeting on Wednesday after raising interest rates for the first time in almost a decade in December. Investors were looking to the Fed policy statement for any indication that the bank is considering slowing the path of interest rate increases this year after recent global financial market turmoil. Soyabean trading range for the day is 3759-3825. Soyabean prices ended with gains on global supply worries and on improved demand from China following robust imports data. China, imported 9.12 million tons of soybeans in December, up 23.4% compared to 7.39 million tons in November. NCDEX accredited warehouses soyabean stocks dropped by 102 tonnes to 61356 tonnes. At the Indore spot market in top producer MP, soybean gained 1 rupee to 3782 rupee per 100 kgs. 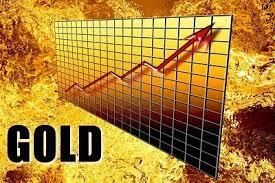 MCX NCDEX TIPS :- Jeera trading range for the day is 13365-13795. Jeera prices settled flat on the back of slow export demand, as well as weak buying by stockists. Moreover, expectation of higher production due to favourable weather too fuelled the downtrend. There are reports of lower export orders coupled with reports of good weather in sowing states weighing in prices. Jeera trading range for the day is 13365-13795. Jeera prices ended with flat node on the back of slow export demand, as well as weak buying by stockists. Moreover, expectation of higher production due to favourable weather too fuelled the downtrend. NCDEX accredited warehouses jeera stocks dropped by 141 tonnes to 743 tonnes. In Unjha, a key spot market in Gujarat, jeera edged down by -16.65 rupees to end at 14483.35 rupee per 100 kg. 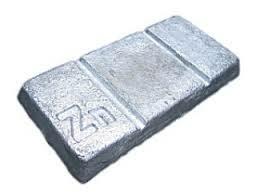 Zinc futures ended lower in the domestic market on Friday as investors and speculators exited positions in the industrial metal amidst tepid physical demand for zinc in the domestic spot market. Further, a drop in business sentiment in China signaled a worsening economic slowdown in the world’s biggest metals consumer, clouding the demand outlook for zinc. The MNI China Business indicator fell to 52.3 in January from 52.7 in December. At the MCX, Zinc futures for January 2016 contract closed at Rs 102 per kg, down by 0.29 per cent after opening at Rs 102.05, against the previous closing price of Rs 102.3. It touched the intra-day low of Rs 101.65. Gold steadied near a 1-1/2-week peak at just below USD 1,100 an ounce early on Monday, with investors eyeing whether equities will come under renewed pressure and refresh safe-haven demand for bullion. 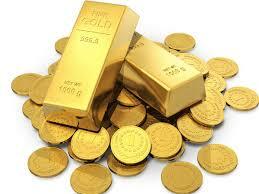 * Spot gold was little changed at USD 1,098.41 an ounce by 0044 GMT, after gaining around 0.9 percent last week. * The precious metal had benefitted from investor aversion towards risky assets that has hit global stocks and crude oil. It peaked at USD 1,109.20 last week, its loftiest since Jan. 8. 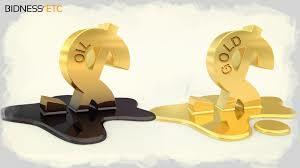 * US gold for February delivery gained 0.2 percent to USD 1,098.50 an ounce. * Hedge funds and money managers increased their bullish bets in COMEX gold in the week to Jan. 19, and also boosted their bullish bets in silver to the highest in more than two months, US Commodity Futures Trading Commission data showed on Friday.